Recently, I have taken the Canon EOS-7D Mk II body with the BG-E16 grip to the sub Arctic for a Polar bear photo shoot and wrote an extensive review on the camera. It was a very harsh environment with temperatures down to -30+ Fahrenheit but the camera held out quite well. This guy is 'merciless' with the Canon EOS-7D camera. The magnesium alloy body and excellent built can withstand quite a bit of punishment. I am reassured next time I take my EOS-7D Mk II camera out for a shoot. I have never intentionally try to damage my equipment but have dropped my EOS-1D cameras and Super Telephoto lenses on the floors of boats and jeeps over the years. They are very well built pieces of equipment and can withstand some pounding without incurring any damage. 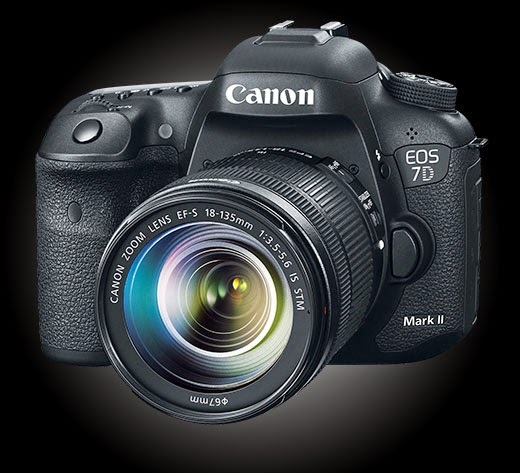 the EOS-7D Mk II should be no exception. However, I would not recommend dropping any Rebel or PowerShot series camera. Rather hilarious video on the destruction of the Canon EOS-7D. I am quite impressed by my EOS-7D Mk II. It is no EOS-1D X but the comparison is neither fair or realistic, Still a very good cropped framed DSLR in my book.